A friend called me a few days back and told me that she has something for me, if I am interested in. Then she told me that she has a pair of headsets for me to test it, if I am in for it. She knows that I am a tech gadget freak and I love to test out new gadgets. And there… I got them, new stuff, new headsets in the market, well not actually already in the market, but soon to be fully. Twistear – pair of tangle free headsets are now actually on the Kickstarter waiting to be supported from you. If they get the whole support, they will start to make them fully and also improved and upgraded. Somehow, I think that these are already perfectly designed and built. Let us see what we have here. It’s main part is the case, which holds a dual self-winding system. Why DUAL? Each side of the cable, a plug and earplugs are separately winded in the case. That means that you can adjust each part separately. You can take out of the case just a plug in the length you want or just earplugs in the length you need. Simple as that. While you are pulling the cable out of the case, you hear clicking. These clicks are actually stoppers for the cable. Now you will ask yourself how you are going to get the cable back in the case. Well this is a damn smart solution. Case has a little “69” logo on each side and this logo is not there just for the sake of a design but it has its own function. These logos are actually buttons that releases the winding mechanism and pull the cable back in the case. Smart one, right? I love it! 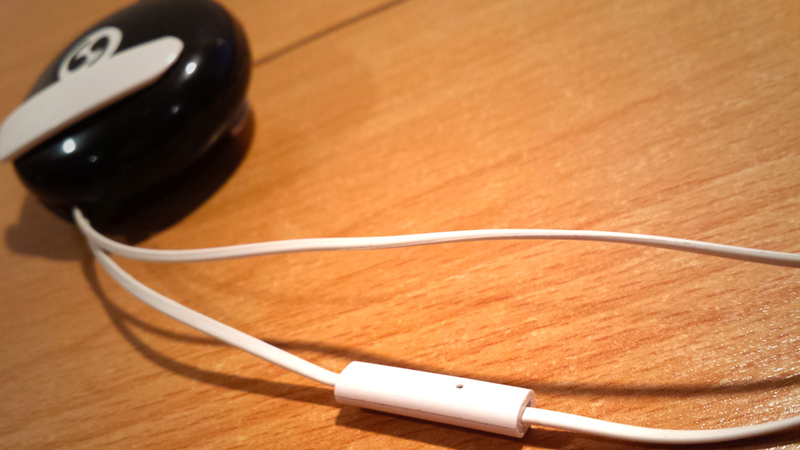 I recommend holding the cable while pressing the button because the mechanism is very strong and it can pull the connector out of your Mp3 player, iPod or phone. Just make sure that you are pressing the right button, because one is for the connector side and the other for earplugs. Therefore, because I did not listen to my friend when she was telling me about the Twistear headsets I was not sure if these have built in microphone for hands free talking. Now I know and I have already tested it. It is great that you can use these for listening to music and for calling. You do not have to take the phone out of your pocket, because they also have built in remote and accept call button which can also be used as stop/pause or skip button. How cool is that?! Functional button with built-in microphone. What is their sound quality? I was quite impressed. Sound is actually very great. I was not sure that the sound will persuade me, but it did. They have great soft bass and clear crispy highs. And the sound of surroundings are very well isolated. I do not like earphones or inears that its bass is too strong so the sound is very thick and just like you’re listening to music in a barrel. These headsets are far from this. Sound is very well balanced. You can easily listen to your favorite music via Twistear headsets or watch a movie if you feel like or don’t want to disturb anyone at night. And what is another great feature of them. Clips on the casing itself. You can easily attached the casing on to your shirt, T-shirt or jacket or bag. To summarize all info, I think Twistear headsets are great if you hate tangled cables of your headsets and would like to have cables all organized with advantage of a great sound in your ears. Try them and support Twistear on the Kickstarter. 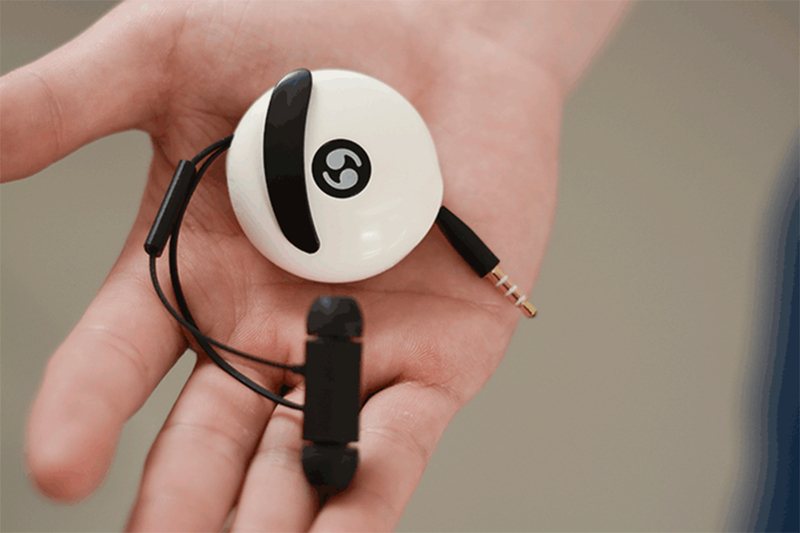 They are already promising revolutionary solution for your tangle free enjoyment in listening of the music. Make your life more simple. Tangle-free Twistear headsets. Support the project at Kickstarter.